CC Rider, the bus agency that serves Columbia County, says it's willing to work with its customers about adjusting route times, but the agency cannot stave off major route cuts. 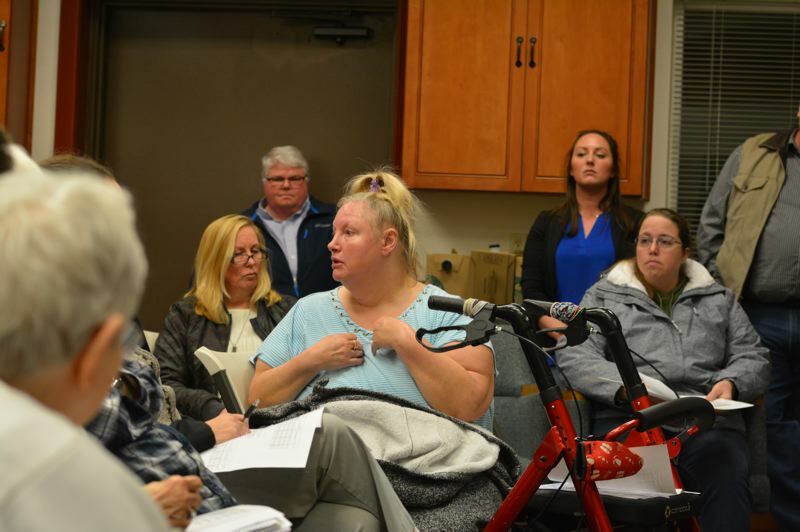 During a public forum Tuesday, Jan. 15, dozens of people filled Healy Hall in St. Helens, some to get confirmation that their main mode of transportation to and from work would no longer be available. In preparation for a major increase in costs for drivers and dispatchers, the bus agency says it needs to reduce the number of daily trips in and out of Portland, and eliminate weekend service altogether, to avoid shutting down. 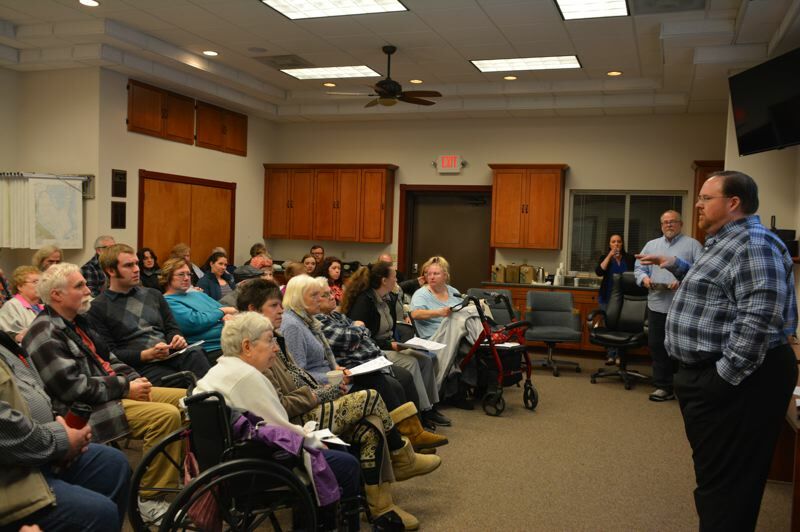 In December, CC Rider transit advisory committee members got the first look at proposed cuts that are expected to save $250,000. Todd Wood, transit director for CC Rider, said the agency will only spiral into a deeper budget deficit unless major cuts are made, or a new revenue stream is identified. "Our options are, trim the service down as much as we can ... or close the doors," Wood told the room full of people Tuesday. To stay afloat, Wood and CC Rider's financial adviser, John Dreeszen, say the agency will need to reduce the number of trips on each route and stop providing bus services on Saturdays and Sundays. Line 1, the line that goes in and out of downtown Portland each day, will be the most heavily impacted. Dozens of people rely on the Portland route to get to and from work. CC Rider is not planning to stop its service to and from the city, but route cuts will likely see a mid-day run eliminated, and the total number of weekday trips reduced from 14 to eight. "I've been riding the Rider since the seniors used to own it," Karen MacKenzie said. MacKenzie lives in Goble and uses the bus service to get to and from her job in downtown Portland. "I know you can't make everybody happy, but there's an hour difference that puts people in downtown Portland after 8:30 a.m., after their jobs start." Mackenzie said she's lucky, because she can adjust her arrival time at work if needed, but others may not have that option. Another woman said she and her husband moved to Columbia County when her husband took a job in St. Helens. Like roughly 70 percent of county residents, she still works in Portland. "I'm new to the county," she noted. "Part of the reason we're here is that there is good transit to get in and out of Portland. If there wasn't, we probably woudn't have moved here." Another man said he's relied on the mid-day route to Portland for years, as he works a late shift. Now, he won't be able to take the bus to get to work. Deanna Tanner said she is partially disabled and also relies on the mid-day Portland runs. The biggest culprit of the transit agency's budget woes is the lack of dedicated funding. Unlike most other transit agencies around the country and state, CC Rider does not get tax revenues via a levy or special district to help pay for its services. Its largest expense comes from bus drivers and dispatchers, which are provided through a contractor. Wood later confirmed Wednesday that the agency would lose more money if it hired drivers in-house. CC Rider relies heavily on grant funding for its revenue. Aside from that, it receives state transportation improvement funds or STIF monies. The agency also gets roughly $80,000 from the county each year as a general allocation, Wood noted, and about $240,000 in money from fares, with an additional $250,000 in revenue from contracts with Portland Community College and insurance providers. Incorporated cities in the county also sometimes allocate money toward CC Rider, but those amounts have dropped substantially over the last decade. "Grants don't go up. Expenses do," Wood explained. "The cost to run a bus goes up every year just a little bit." The agency received a $400,000 loan from Columbia County last year to cover a budget gap. Wood said the agency will probably need to borrow from the county again this year. The route cuts and time adjustments have yet to be finalized by county commissioners. An additional public forum is scheduled for 7 p.m. Wednesday, Jan. 30, at the Columbia County Courthouse.